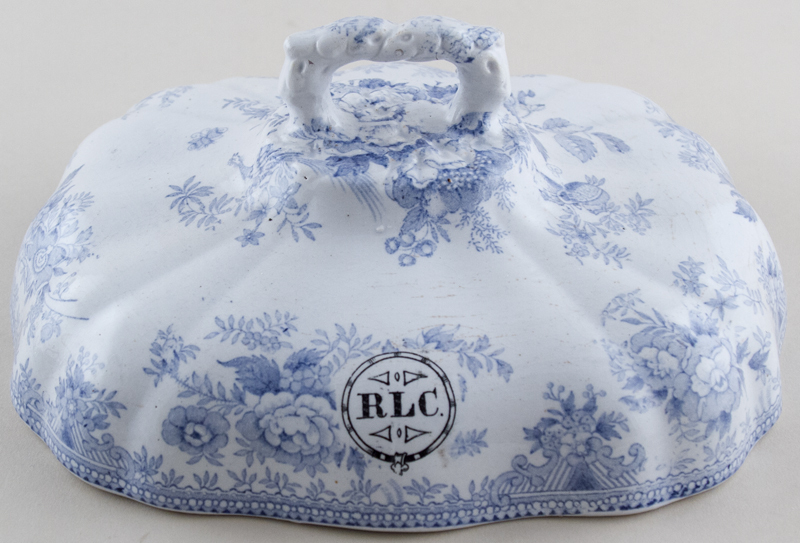 Rectangular lid only with lovely moulded detail and black printed RLC (Retford Liberal Club). No backstamp. Light crazing with some light discolouration and just a little wear to the handle, overall excellent condition.